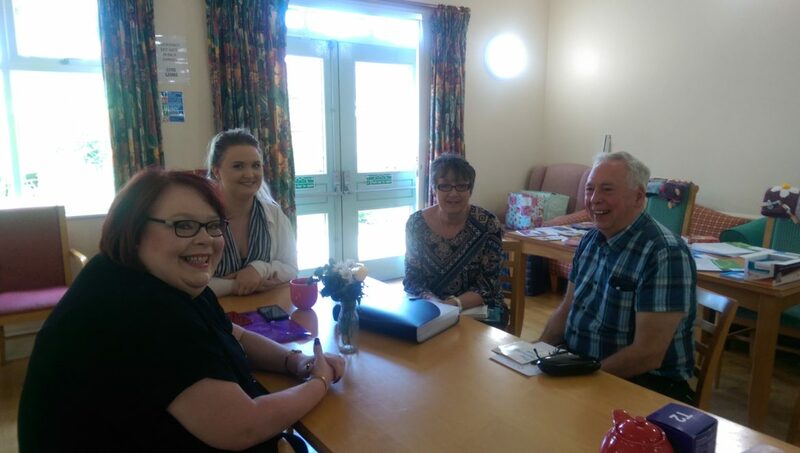 Our Rosewood Club was visited on 23rd May by Dementia Advisor, Jane Probet as well as Rachel Oscroft from Guideposts, accompanied by Kirsha Fowler from Dementia Oxford. This visit was to coincide with Dementia Awareness Week, and the experts were available all day to offer advice to family members about their loved-ones. Several carers dropped in to take advantage of this service, including Keith Boyce, whose wife attends Rosewood.